Once upon a time, a Bavarian prince married a princess, and the common people were invited to celebrate in the fields outside of Munich. Thus a new tradition was born: Oktoberfest. Over 200 years later, the celebration of Bavarian culture (and brewing prowess) is still celebrated the world over. For the past decade, Germania of Poughkeepsie has hosted the Hudson Valley's Oktoberfest celebration every fall at their headquarters just outside the city. This year, the Munich-style celebration of bier takes place September 7 through 9 under tents (rain or shine). A family-friendly event, there is more on offer than just chugging Märzen from a beet stein. There will be live music and Bavarian dancers, German food (mmm, bratwurst), desserts, children’s entertainment, and soccer games. And in case you doubted the authenticity of proceedings, Germania has proclaimed that the festival will only serve beer approved under the authority of Reinheitsgebot, “the German Beer Purity Law,” adopted in Bavaria in 1516. Phew. And it's not wonder they're sticklers, Germania of Poughkeepsie was founded in 1850 (just 40 years after the inaugural Oktoberfest). 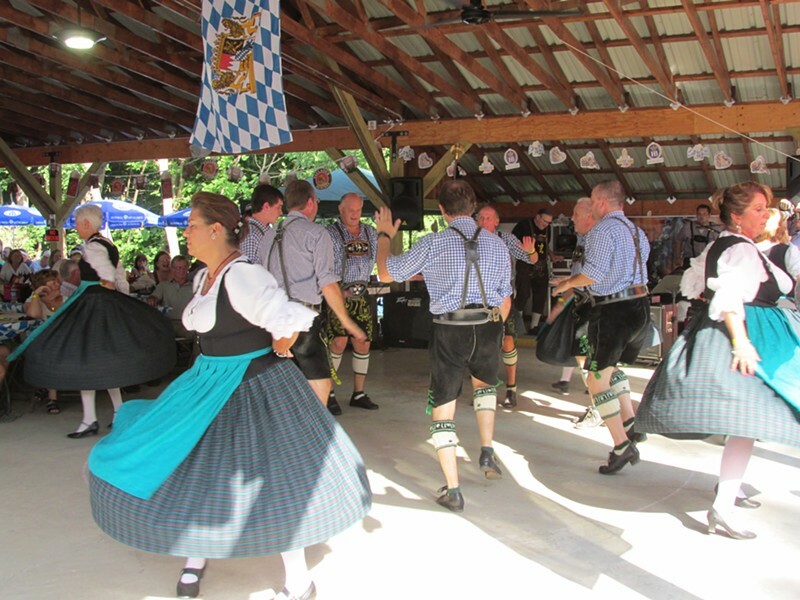 The nonprofit is dedicated to promoting German American Heritage throughout the Hudson Valley through their events and cultural programs. Admission to Oktoberfest is $6 a day for adults, $5 for members of the military, and free for children under 16. Buy your advance discount tickets today.